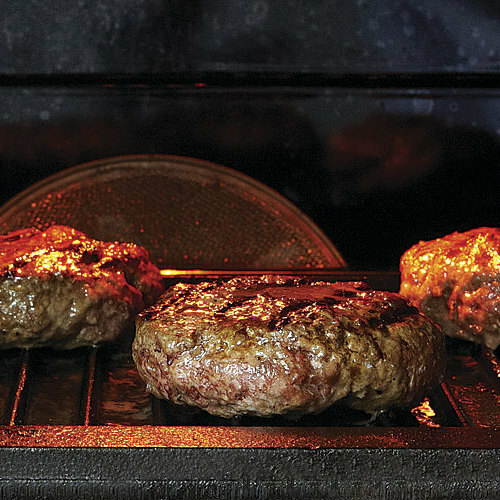 Recreate some of the same grilled flavor you love using your broiler. Bringing the steaks to room temperature before broiling will help them cook on the inside without burning on the outside. 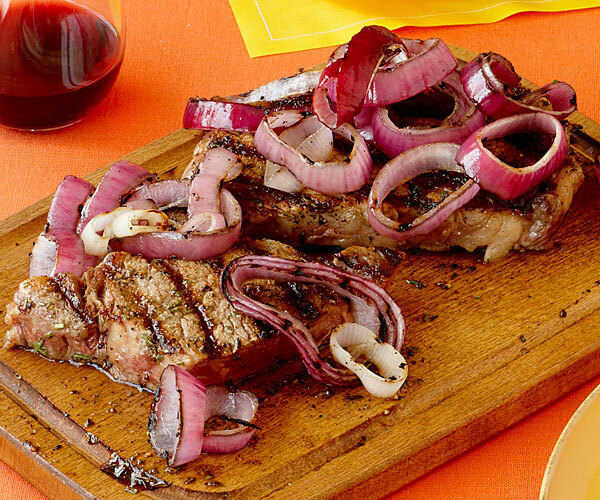 If serving more than two people, cut the steaks in half or slice them. In a small bowl, combine 2 Tbs. of the olive oil, the rosemary, dry mustard, garlic powder, 2 tsp. salt, and 1 tsp. pepper to make a paste. Rub onto both sides of the steaks. Put the steaks in the hot pan and transfer to the broiler. Broil about 2 minutes per side for medium rare (130°F), or until they reach your desired degree of doneness. Transfer to a cutting board, tent with foil, and let rest. This is really great! I would caution that you have your broiler ready (heated up) at the same time your skillet heats up. I waited and the meat was a little overcooked by the time it got good colour on the top. But the rub is exquisite and the red onions are great, especially having been tossed in the rub in the pan. A definite favourite!